Today we’re going to focus on a US based company with a long and successful history, founded by two anglers-turned-lure-designers about 65 years ago. They started producing different lure models which soon became favorites amongst anglers throughout the world, all this under the brand name Bomber. 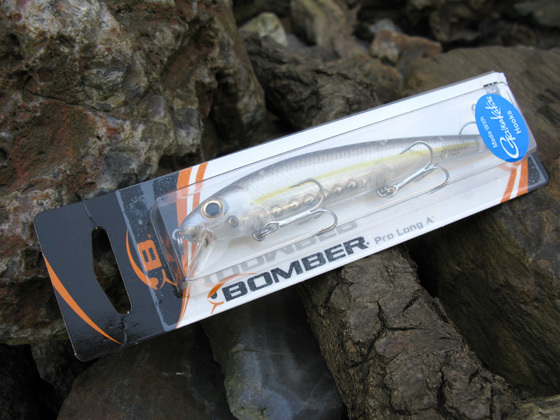 Bomber lures are well known for their fish catching abilities and increased efficiency in bass fishing. They cover a wide range of crankbaits, minnows, jerkbaits, plugs, even spoons, in order to prepare you for every situation you’re about to face on the water. 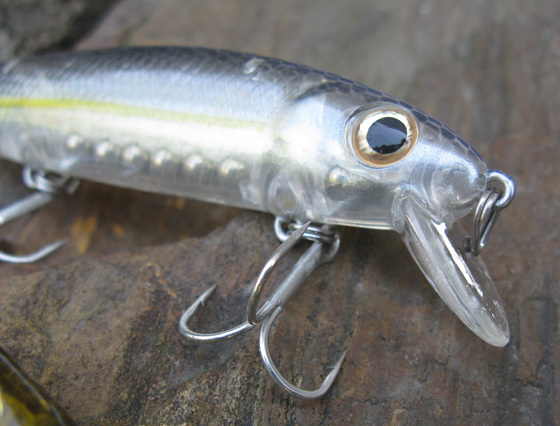 One of the models that really got my attention is the Bomber Pro Long A – B15AP, Bomber’s ultimate jerkbait designed by the BassMaster professional Tim Horton. 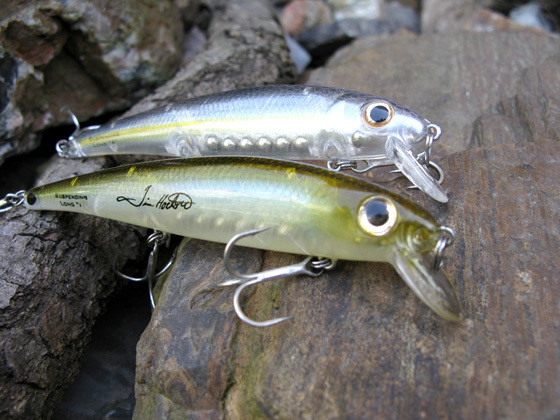 This lure features great action and exceptional components. When it comes to packing, Bomber likes to keep it simple. 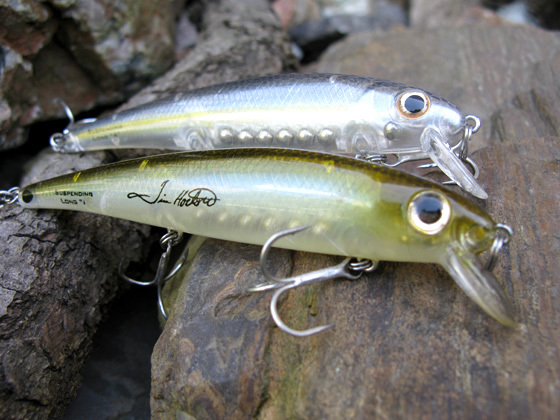 The lure’s packing is quite simple, nothing eye-catching, just the company’s logo and colors. It doesn’t stand out, but it keeps the lure safe and your fingers away from the sharp trebles, which by the way are not secured. The B15AP packing also displays the lure’s diving depth and the hooks brand, Gamakatsu in this case. 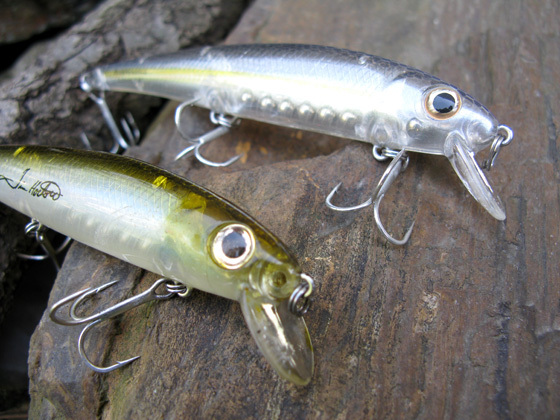 Finish: Bomber lures are all made of plastic. This doesn’t mean they lack good looks. The first thing I noticed before putting the lure to work was the neat translucent finish and details on this lure. The Pro Long A model features some impressive details like 3D eyes, carved gills, carved and painted scales. The plastic finish has a top coat which is used for back and belly painting. Two deadly pattern for clear waters. When designing the Pro Long A, the guys at Bomber went for the classic minnow shape, but with incredible proportion and balance in mind. This lure is all about premium hardware. It has an internal bearing system designed to provide stability, great casting abilities and noise for attracting fish from a distance. 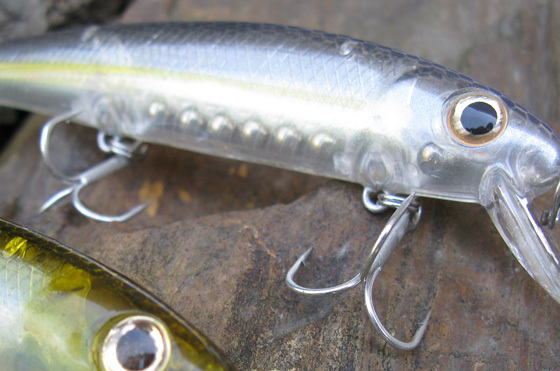 You’ll hear in the video footage below just how noisy these lures can get underwater. I for one, couldn’t believe my ears. The coating is pretty tough and resists well at all the hitting and dropping a fished lure can get. In time, it will get scratches, but nothing serious to affect the overall looks. 3D eyes, gills and carved scales make up a great realistic finish. Terminals: Normally the Pro Long A model comes equipped with Excalibur Tx3 hooks, but the Tim Norton’s series went for nothing but the best components. They replaced the trebles brand with Gamakatsu, and attached a highly resistant Excalibur tear drop split ring to the front eyelet. 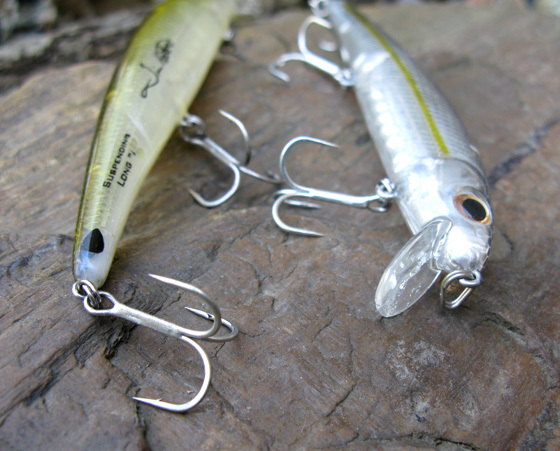 These trebles are extremely sharp and resistant, so there’s no chance you’ll loose any fish. Premium terminals, sharp Gamakatsu trebles and tear drop Excalibur split ring. Even though I’m a fan of dark colored trebles, I still have to mention the sharpness and difficulty to bend these ones. 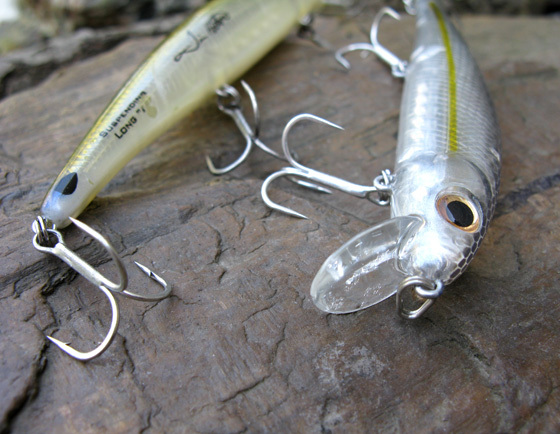 Having a lure equipped with three trebles gives the fish less chance to escape. Also on the Pro Long A this thing has no downsize when it comes to casting or the lure’s swimming action. You can remove the middle treble for better snag resistance. 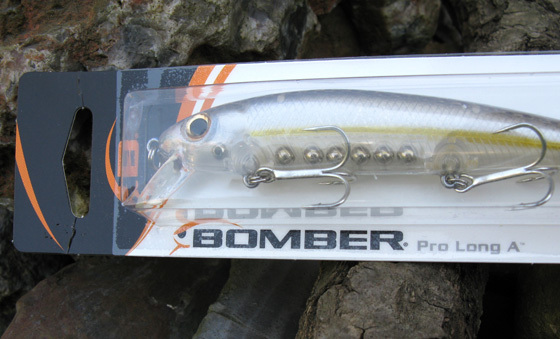 Casting: Bomber Pro Long A showed his excellent casting capabilities starting from the very first cast. It makes accurate casting sound easy. I was fishing a jerkbait that could be easily placed at impressive distances in specific spots. How’s that for perfect presentation? It is exactly what I need from this type of lure, especially if I want to keep it in the “hot zone” as long as possible. Even though it doesn’t posses an actual long cast system (weight transfer system), the ingenious engineering of the internal bearing system stands behind the Pro Long’s A impressive casting abilities, this along with it’s actual weight. The bearings are positioned to provide balance and great horizontal posture when the lure is suspending underwater. If this posture isn’t right, and the lure suspends at a wrong angle, it may loose you many fish. Not the case for this beauty. Bomber's internal bearing system, the key to perfect balance and great casting. Action: OK, so I liked the looks but in the end it’s all about the action, right? Cause great action will give you confidence in a lure, and that’s what brings fish to the boat. Let me just start by saying that this isn’t a lure you want to fish using a linear retrieve. It will land you fish even so, but you won’t discover it’s true potential until you start fishing it like a true jerkbait, using a combination of jerk, twitch and suspend moves. This is when you start getting really impressed by it’s erratic and appealing action. Looks and action, all packed in one efficient lure. After just a few days of fishing, the B15A model climbed up significantly in my jerkbaits top. I noticed that the Pro Long A is also a really permissive lure, taking little practice until you master most of its moves. It will deliver magic even in a beginner’s hands. I think the video footage below speaks for itself. 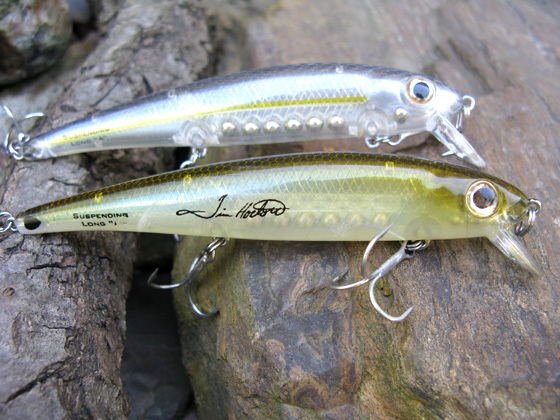 Application: Bomber Pro Long A is a jerkbait primary designed for bass fishing. 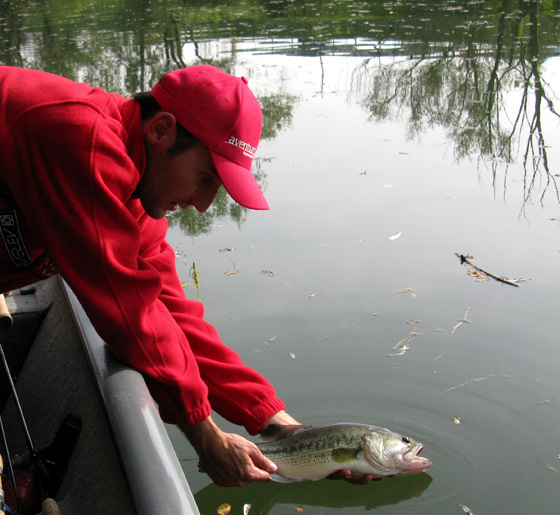 You can fish it near underwater structures or work the top of weed areas in shallow waters. It will definitely outperform it’s predecessors. I recommend using medium or medium-heavy baitcasting gear when fishing this baby. I find it extremely efficient for bass and pike (musky), but I’m sure that if used properly it will land many other species. Some bass fishermen also use it as a wake bait, just to get an idea of it’s versatility. Just use your imagination and it will make fishing really fun. Conclusion: I would say that if you’re into this type of fishing than the Bomber Pro Long A is a must have in your jerkbait tackle box. It has an excellent price and brings appealing moves and great looks to the table. Due to it’s amazing action it soon became one of my favorites, a lure with which I find myself fishing quite often. Good job Bomber on this one! beaches, bays, creeks and a meandering intracoastal waterway. right size of flies to use. Fabulous, what a website it is! This website gives valuable data to us, keep it up.